Dr. Nancy L. Sin is an Assistant Professor of Psychology at the University of British Columbia. She teaches undergraduate and graduate courses in health psychology, in addition to serving as a mentor for undergraduate, MA, and PhD students. She is actively involved in service to the profession, including serving on the Executive Committee for the American Psychological Association’s Division on Adult Development and Aging (Div. 20) and giving lectures on healthy aging to academic and general audiences. Her work has been supported by grants as PI or Co-I from the U.S. National Institute on Aging and the Canadian Institutes of Health Research. Dr. Sin’s research focuses on biological and behavioural pathways linking daily well-being and stress to health. 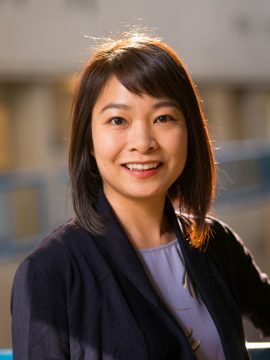 Her work has shown that emotional responses to daily stressors are associated with inflammatory, neuroendocrine, and autonomic mechanisms that are implicated in the development of aging-related conditions, including cardiovascular disease. Dr. Sin is particularly interested in daily positive events as protective factors for stress processes and health. The ultimate goal of this research is to contribute towards the development of strategies for promoting psychological and physical well-being across the adult lifespan. Sin, N. L., & Almeida, D. M. (2018). Daily positive experiences and health: Biobehavioral pathways and resilience to daily stress. In C. D. Ryff & R. F. Krueger (Eds. ), Oxford Handbook of Integrative Health Science. New York: Oxford University Press. Ong, A. D., Sin, N. L., & Ram, N. (2018). Distinguishing between fragile and enduring positive affect: Implications for health and well-being in midlife. In C. D. Ryff & R. F. Krueger (Eds. ), Oxford Handbook of Integrative Health Science. New York: Oxford University Press. Sin, N. L., Della Porta, M. D., & Lyubomirsky, S. (2011). Tailoring positive psychology interventions to treat depressed individuals. In Donaldson, S. I., Csikszentmihalyi, M., & Nakamura, J. (Eds. ), Applied positive psychology: Improving everyday life, schools, work, health, and society. New York: Routledge. Sin, N. L., Jacobs, K. M., & Lyubomirsky, S. (2011). House and happiness: A differential diagnosis. In L. L. Martin & T. Cascio (Eds. ), House and psychology. New York: Wiley. DiMatteo, M. R., & Sin, N. L. (2011). Family involvement in health care regimen. In M. Craft-Rosenberg & Shelley-Rae Pehler (Eds. ), Encyclopedia of family health. New York: Sage. Sin, N. L., & Lyubomirsky, S. (2009). Enhancing well-being and alleviating depressive symptoms with positive psychology interventions: A practice-friendly meta-analysis. Journal of clinical psychology: In session, 65(5), 467-487. DOI: 10.1002/jclp.20593. Reprinted in: F. Huppert & A. Linley (Eds. ), Happiness and well-being: Critical concepts in psychology. New York: Routledge. Lyubomirsky, S., & Sin, N. L. (2009). Positive affectivity and interpersonal relationships. In H. Reis & S. Sprecher (Eds. ), Encyclopedia of human relationships. New York: Sage.